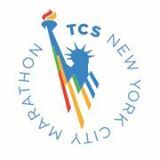 – Jason Catlin, the owner of Bar-Coastal, a bar on 1st Avenue and 78th Street, talking about the impact the TCS New York City Marathon has on his business and many other 1st Avenue bars. Pre-NYC Interview With Desiree Linden Watching teammates Bobby Curtis and Jake Riley run well gave her confidence in her own training. NY Times: Marriage Built On Miles Finds Hope In Marathon Editor writes about how she and her husband fell in love training for and running the 1996 NYC Marathon together, even though she had a boyfriend at the time. RR: Finish Line? For Older Runners, It’s When They Say So Article talking about super masters runners like 86-year-old Joy Johnson who died the day after finishing last year due to head injuries from a fall at mile 20. Five Pro Women Interview Each Other Talking About Running, Pregnancy, Motherhood Transcription of an open conversation between Deena Kastor, Kara Goucher, Desiree Linden, Blake Russell and Annie Bersagel. 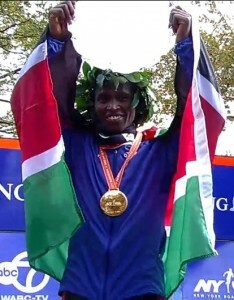 Stephen Kiprotich Says He’s Prepared A Lot Better For NYC This Year Than His Disappointing 12th Place (2:13) Finish In 2013 He says last year it was too much for him running London, Moscow World Champs and then NYC. Good Read: Latvia’s 38-Year-Old Two-Time NYC Winner Jelena Prokopcuka Going For Fifth NYC Podium Finish She’s been training in windy 25-degree weather so feels the conditions could give her an edge. 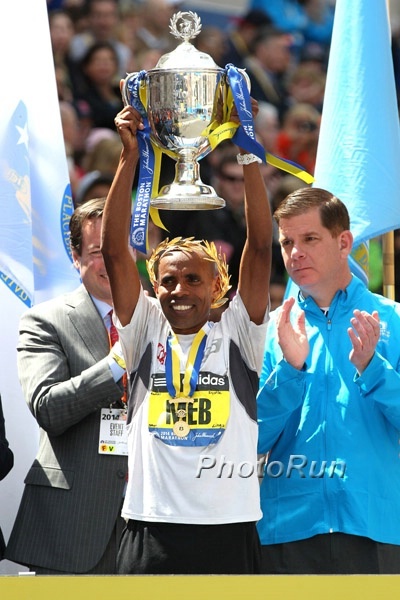 NY Times: With Gadgetry, New York Marathon May Be Watched Like No Other They’re using a lot more tracking data than the past.